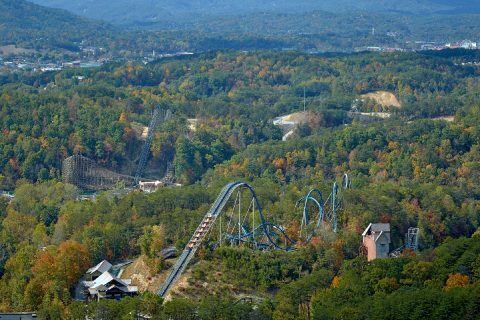 Plan on bringing your group to the world-famous Dollywood Theme Park in the Great Smoky Mountains of Tennessee? 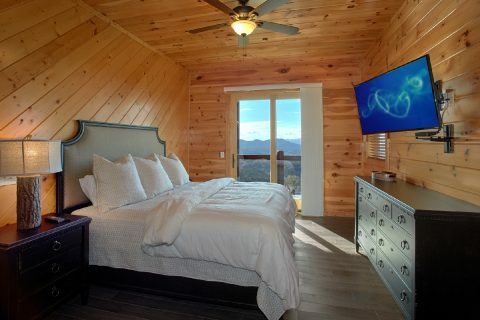 Why not stay at a large, luxury cabin with all the comforts of home and premium amenities to make your vacation truly memorable? 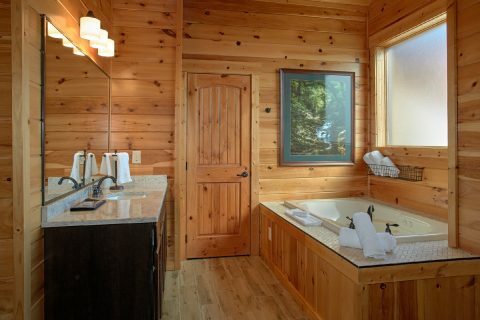 You can do exactly that by booking "Copper Ridge Lodge!" 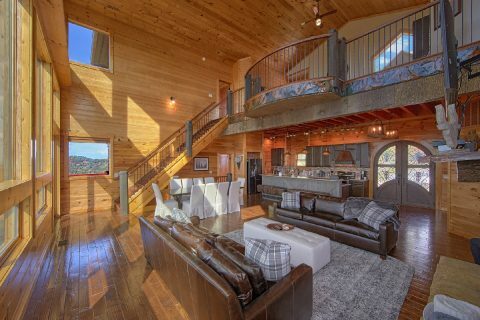 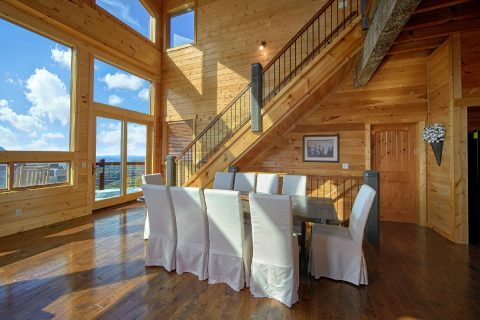 This 6-bedroom cabin sleeps up to 16 guests in comfort, so it can easily accommodate a large family or a big group of friends. 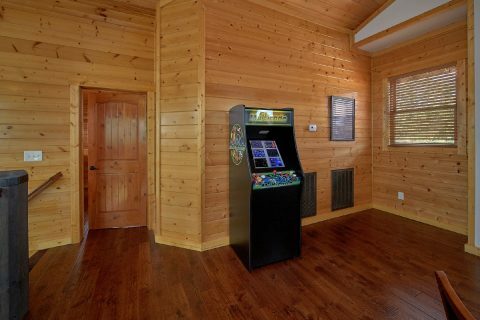 In terms of its location, this 5-star cabin really delivers. 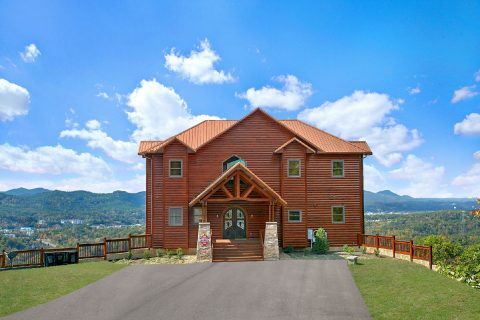 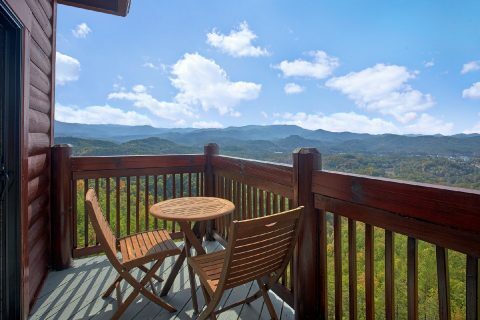 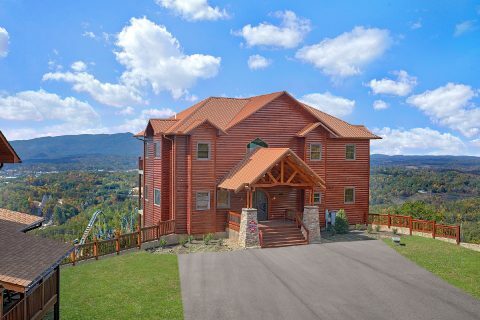 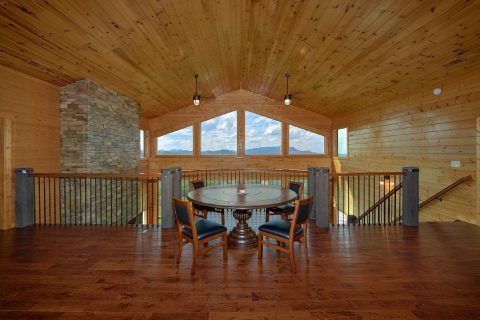 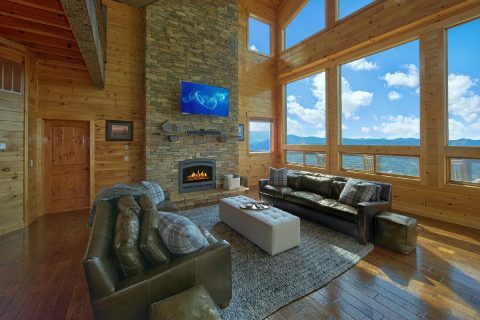 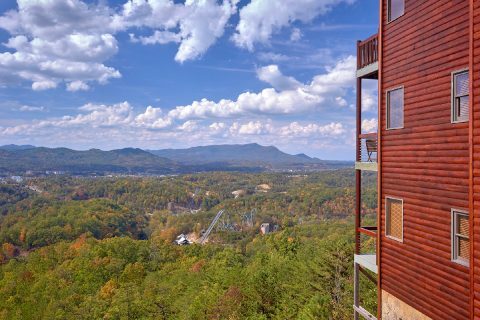 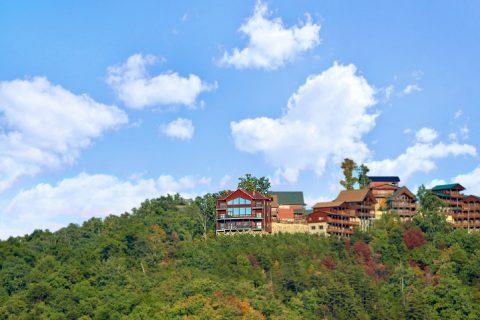 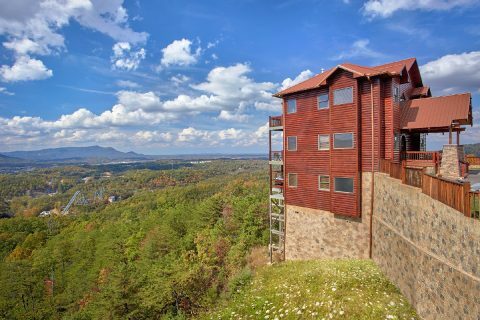 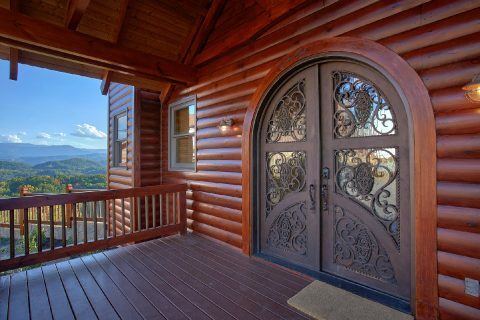 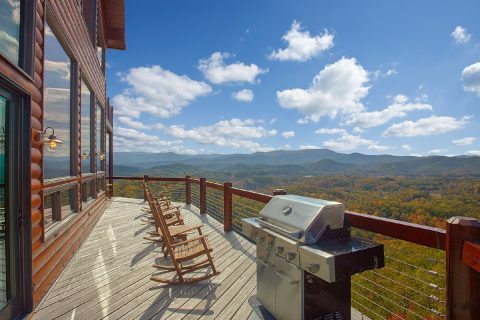 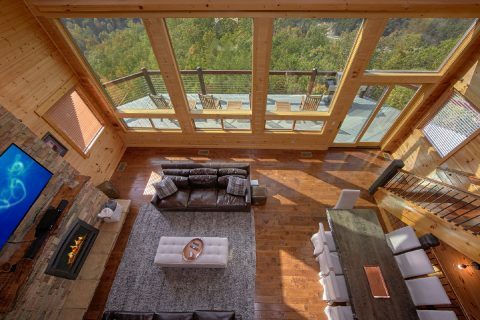 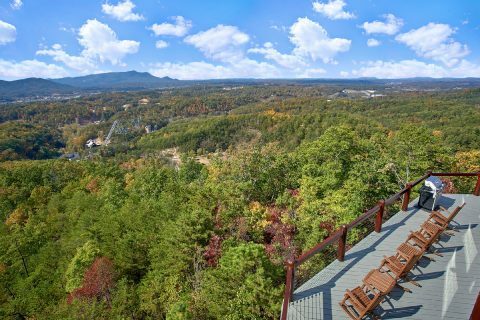 From its beautiful spot perched on a Smoky Mountain ridge, this large cabin with a view places guests only a few miles from Dollywood and Pigeon Forge, TN! 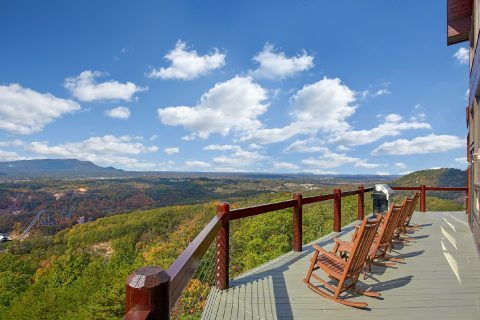 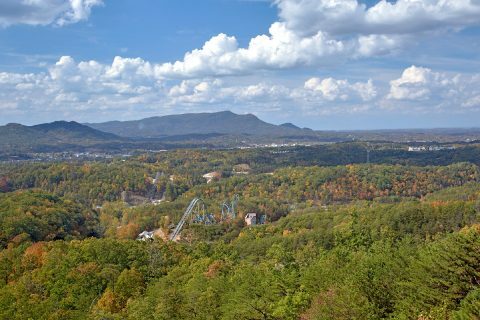 In fact, this cabin even boasts an awesome view that overlooks Dollywood Theme Park. 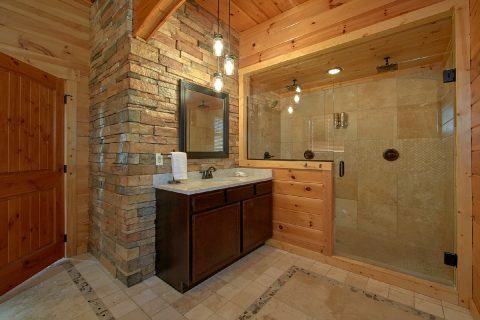 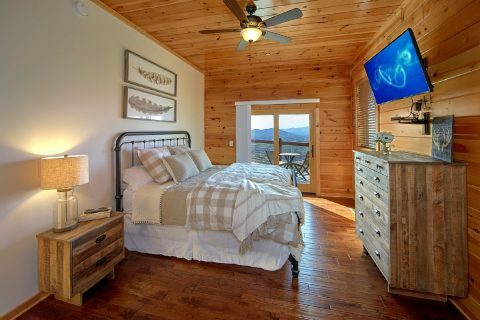 Better yet, this cabin rests in the upscale Starr Crest Resort area, a cabin community that offers an outdoor swimming area for guests to enjoy year-round swimming. 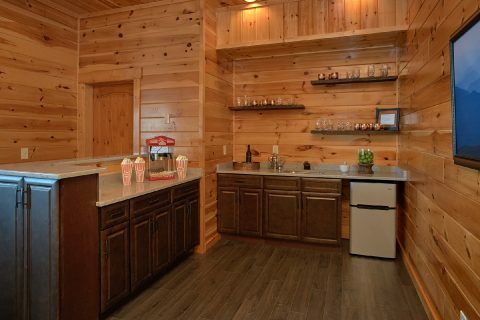 Inside your luxurious cabin, you'll find hours of entertainment watching your favorite movies like never before in your cabin's downstairs entertainment area complete with a bar area for enjoying snacks while you relax. 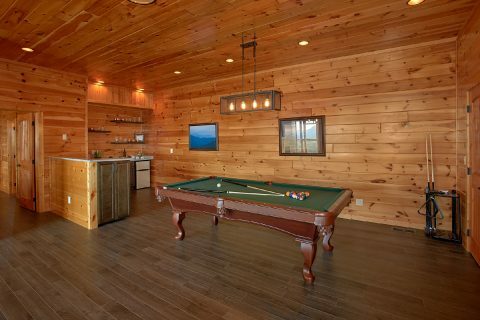 The entertainment room also houses a pool table for the kids and kids at heart to play some games. 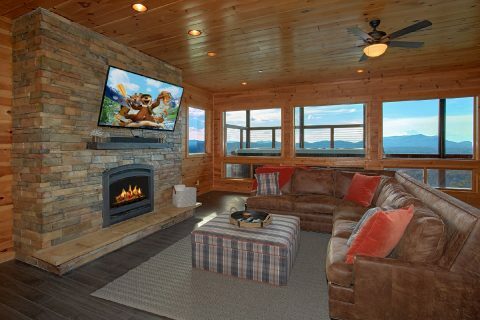 A gas fireplace and large sectional sofa keep this room warm and inviting. 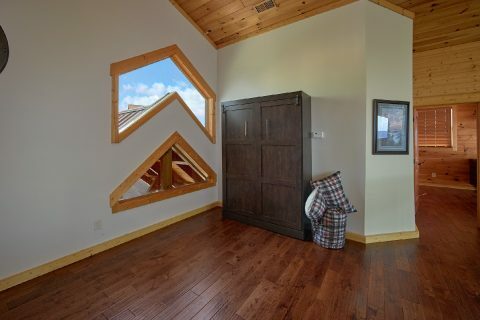 For even more fun, you'll find a poker table in the upstairs loft area. 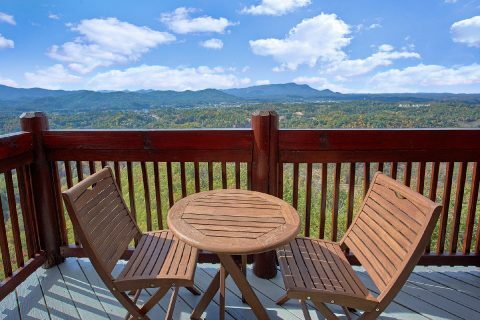 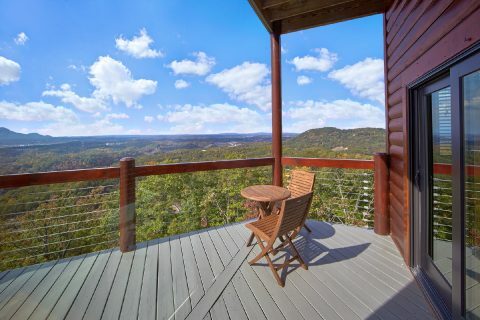 For relaxation, you'll love sitting out on your cabin's deck and taking in the beautiful mountain views. 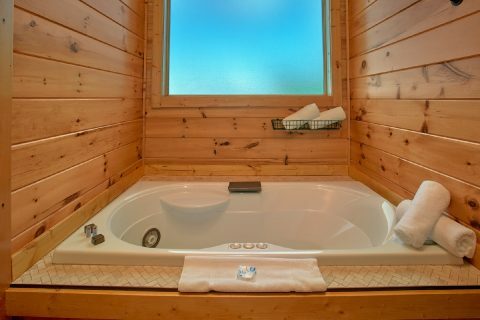 Better yet, you can sit back in your cabin's swim spa to let all the stress melt away in the warm water. 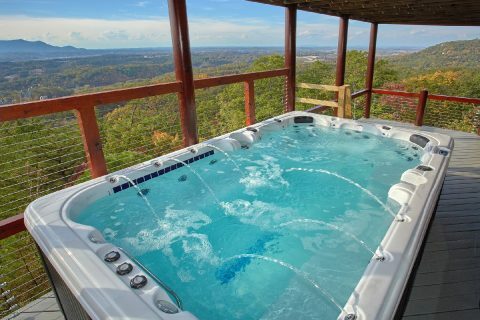 This large swim spa offers room for up to 11 guests to enjoy the warm, jetted water. 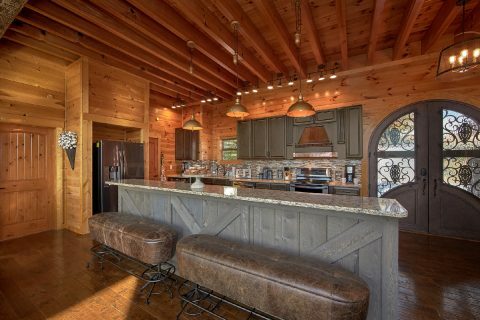 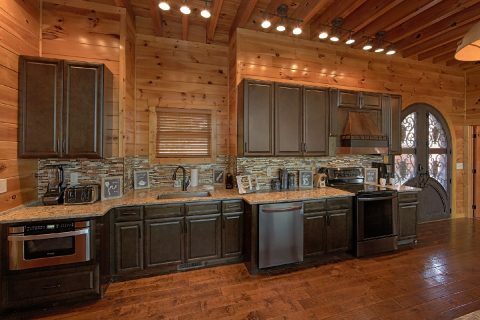 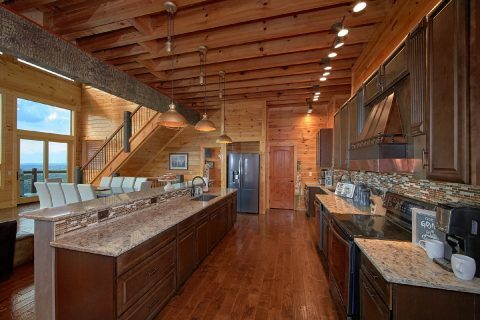 Other perks included in your cabin are WiFi Internet, washer-dryer, full kitchen, and gas grill for preparing delicious dinners in the comfort of your cabin. 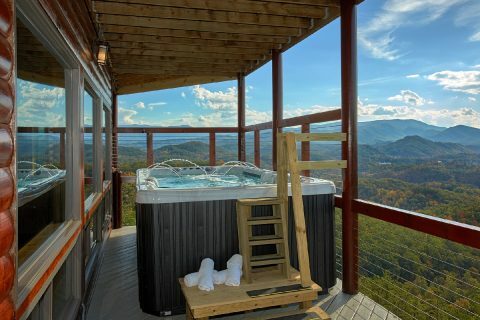 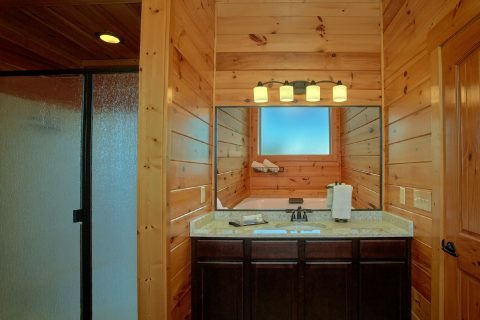 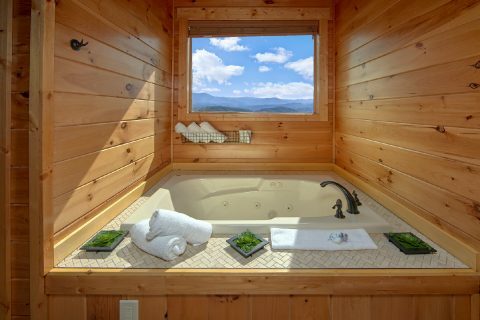 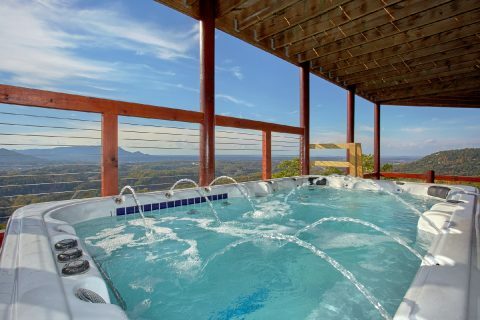 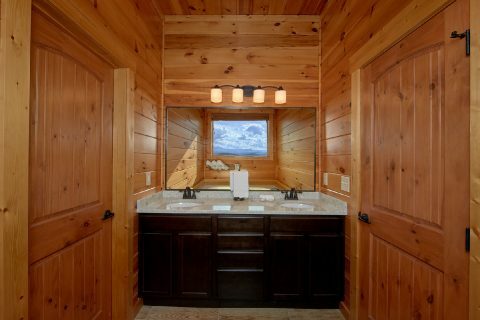 For staying well-rested on your Smoky Mountain vacation, you can always get a great night's rest in one of your cabin's six king-size bedrooms with a relaxing jacuzzi tub. 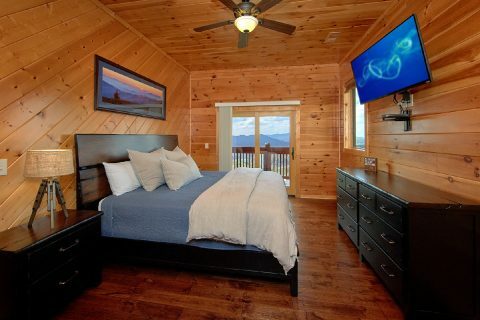 One king bedroom upstairs is a master suite that features a beautiful, walk-in shower and a private balcony. 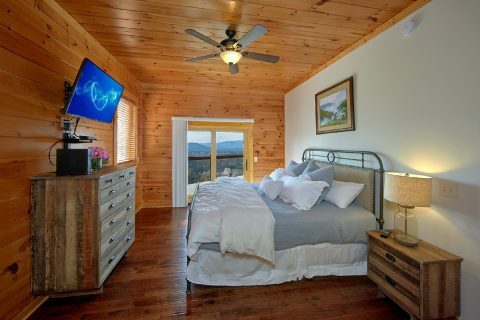 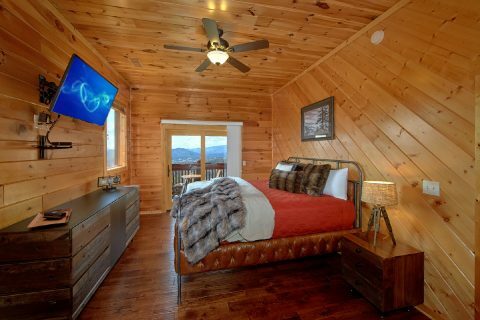 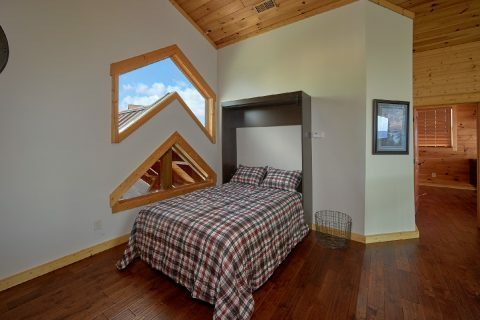 Along with a full-size murphy bed in the loft and a pull-out queen bed in the entertainment area, this cabin sleeps up to 16 guests in comfort. 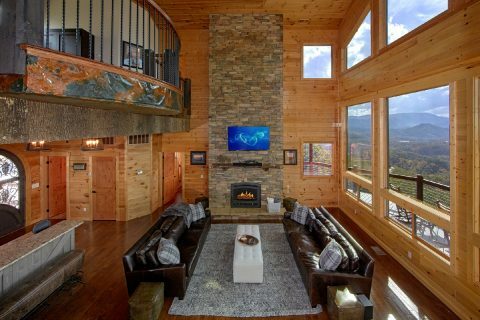 Treat your family or group to a luxury cabin vacation they won't soon forget when you book "Copper Ridge Lodge" in Starr Crest Resort! 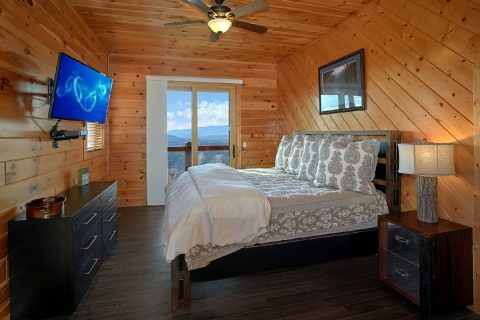 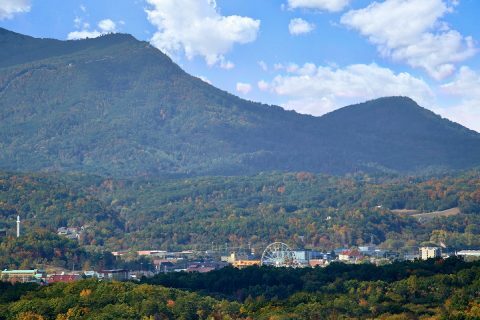 Book today with Cabins USA Gatlinburg to save on lodging, while also enjoying the best the Smokies can offer!